Reading this sweetly told morality tale is to return temporarily to the world of children’s fiction fifty years ago. Children and parents like each other, there are no swear words or examples of teenage argot, teachers are benign, elderly neighbours respected and main characters eventually realise they have do the right thing. There is always room for novels like this concentrating on the theme of moral growth while also telling a good story. It’s just that it all feels a little old-fashioned. So too is the comic strip adventure that Kat draws for herself, involving heroic space-travelling Girl 38 and her mortal enemies the Vllks. But all in all this is indeed still a good story. Shy Kat even at the age of fourteen is dominated by her bullying friend Gem. When an artlessly innocent but potentially popular new boy joins the class Gem temporarily put in the shade sets out to make his school life unbearable. Kat weakly goes along with this, despising herself for doing so. But things change for her after she befriends Ania, an old lady living next door who over time tells the story of her own young life. 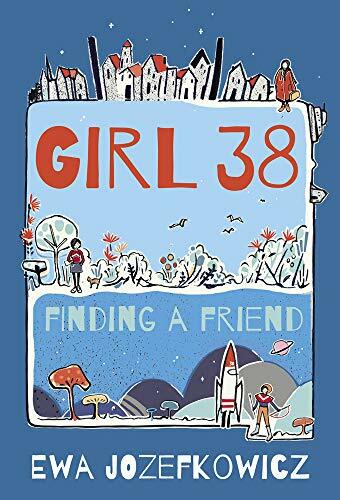 Partly based on the author’s Polish grandmother’s harrowing experience during World War Two, it describes how as a young girl Ania rescues her Jewish friend Mila from certain death in one of the ghettoes. Heroism of this dimension goes some way towards balancing out the evil it was up against and here acts as an inspiration for Kat finally to put things right. So there is a lot for younger readers in this novel, and it would have made an excellent jumping off point for classroom discussion when such things still happened untied to any National Curriculum or ‘comprehension’ exercise.